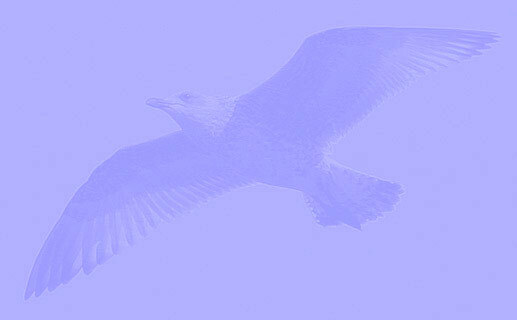 Larus (cachinnans) mongolicus AA63 adult, May 24 2004, Khökh Nuur, Mongolia & February 02 2006, Nakdong, S Korea. 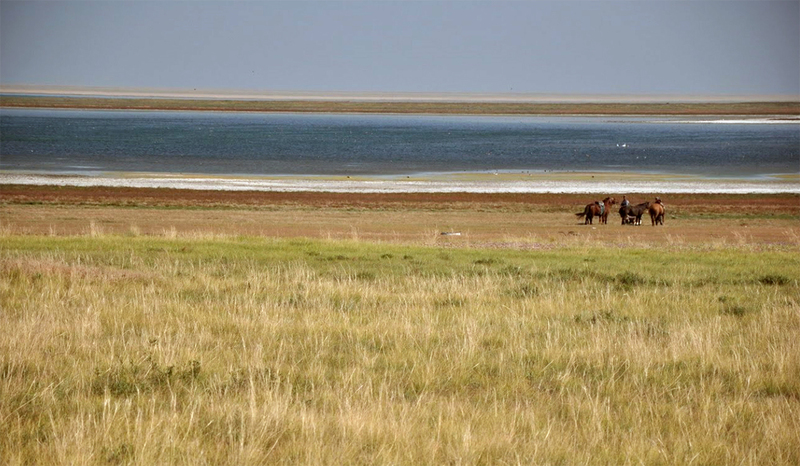 Please visit Birding Mongolia Blog for many more images! 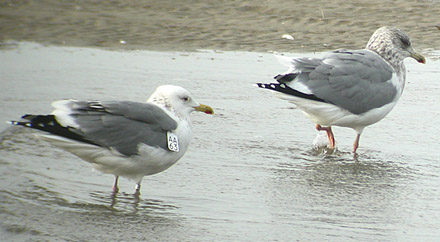 Ringed as sub-adult (5CY) AA63, ringed on May 24 2004, at Khökh Nuur (49°32'N, 115°31'E). below: mongolicus AA63 sub-adult, May 24 2004, Khökh Nuur, Mongolia. Picture: Thomas Langenberg. In spring 2004 a German team of ornithologists coordinated by Andreas Buchheim ringed and wing-tagged a total of 170 adult (including a few subadults) Mongolian Gulls Larus mongolicus in north-eastern Mongolia. 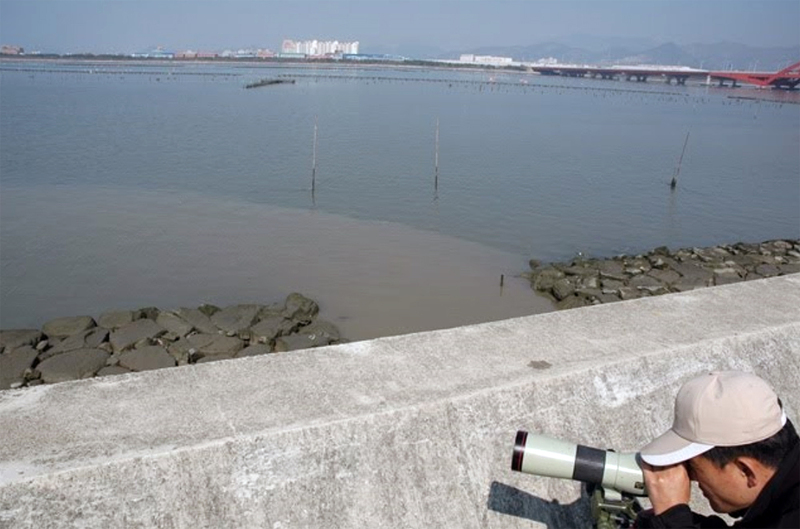 The major aim of this activity was to get information about migration routes and wintering grounds of this little-known taxon. Each bird was ringed with a metal band (issued by the German ’Helgoland Ringing Centre’) on its right tibia. 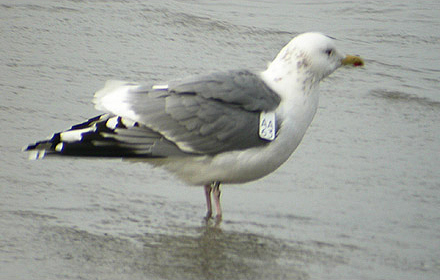 To ensure specific and individual recognition the birds were additionally fitted with white wing tags showing an individual black four-character-code: the upper row consisting of two capital letters and the lower row of a two-digit number. 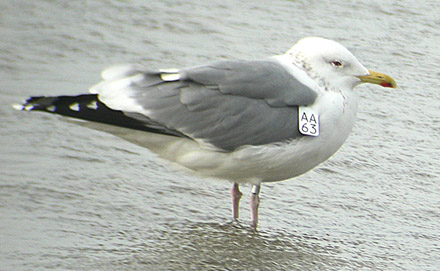 below: mongolicus AA63 adult, February 02 2006, Nakdong estuary, S Korea. Picture: Nial Moores. Recorded in winter on February 02 2006 at Nakdong estuary, S Korea (35°03'N, 128°55'E) by Nial Moores, a distance of 1940 km. 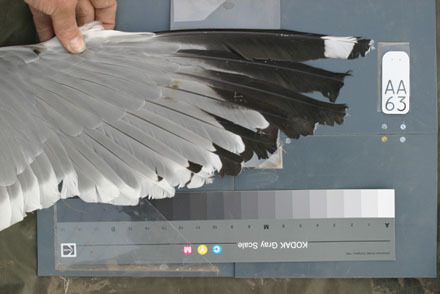 The photographs show how easily the wing tags can be seen by birders.